In spring, life is emerging all around us. What better way to symbolise this new beginning than with eggs? 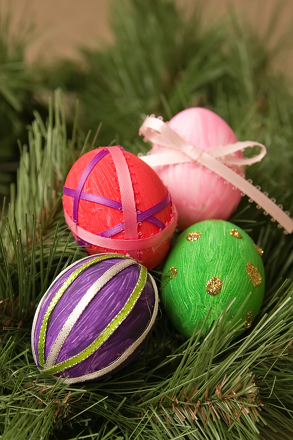 Teach your child about egg symbolism and show her how to craft her own decorative eggs. With some scraps of felt and a good pair of scissors, she'll cut out bright circles and pile them up to make an egg shape. Crafting this adorable project boosts her fine motor skills and creativity. Before she begins, have her go online and research the history of egg symbolism. What other cultures and religions celebrate or decorate using eggs? What is a perforated egg? Encourage her to find out! 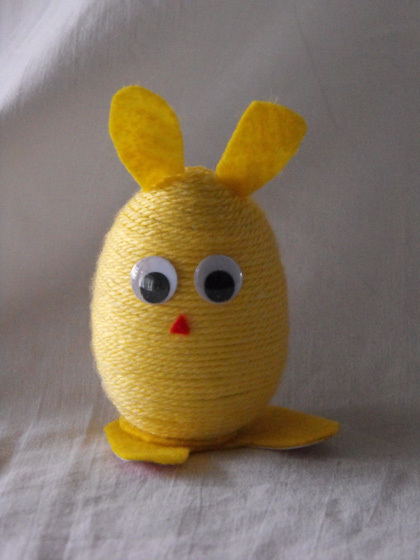 When you are ready to begin making your own egg, use your protractor and a pencil to trace out six circles on the felt. The circles should be different sizes with the largest circle being four inches in diameter, the smallest being at least a half-inch in diameter, and the other four being somewhere in between. Using the first set of six circles, have her cut out and trace a matching set of six circles. She should now have 12 circles. Have her stack them to form an egg shape. (The largest circles of felt are at the centre of the egg and stack on smaller ones on either side until the smallest circle forms the tip of the egg). Help her thread the needle and put one bead on the thread. Pierce the needle through the centre of the circles of felt to hold them together. 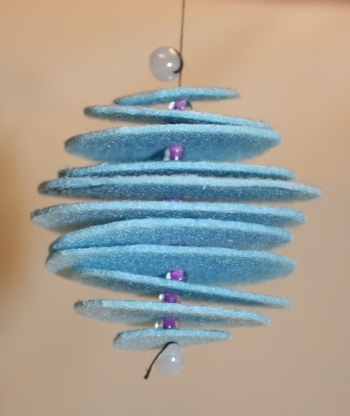 After each circle of felt, invite her to add a bead onto the thread and continue this pattern. After she places her final bead on the thread, tie it off to secure the felt and beads. 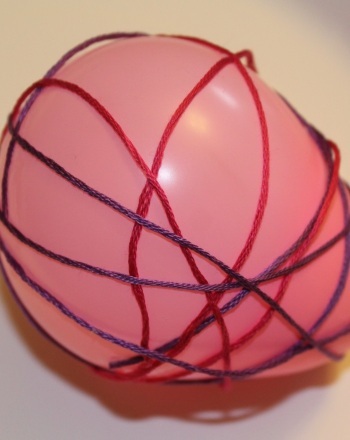 Help her tie a loop out of string at the top of the egg. Trim any excess string. Ask her to stand back and admire her beautiful felt egg! Try making a set of them to hang; she can brighten up anything from a tree outside to a kitchen cabinet. 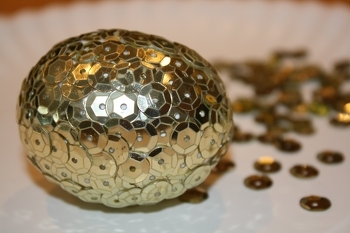 Show your fourth grader how to use sequins to create a gorgeous, gold-plated Easter egg. 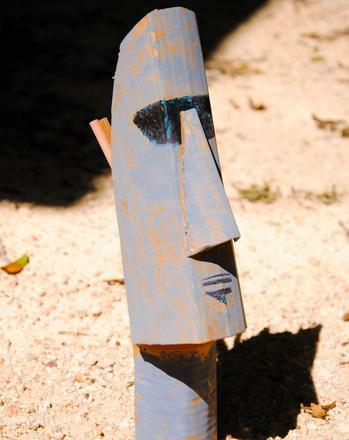 This easy paper craft looks like the ancient Moai sculptures of Easter Island. Sail away to the exotic and mysterious Easter Island! 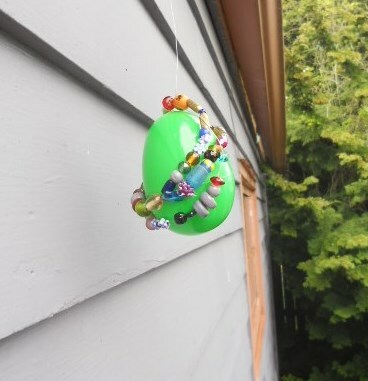 Are you tired of the same old Easter egg dying routine? Does your kid love to try new art techniques? If so, try making Easter eggs out of embroidery floss!